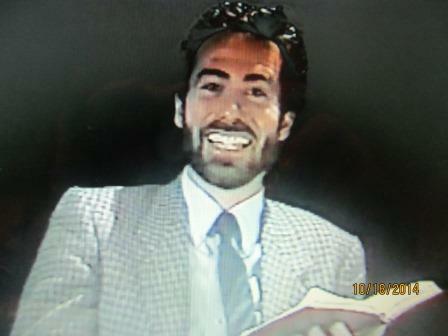 David's flagship performance piece, this first-person characterization was written by Steve Thomas and taped before an audience of over 1,000 with four cameras. Including a portion of the Sermon on the Mount, this personable piece remains many folks' favorite as it begins with Peter meeting Christ and continues through the Day of Pentecost, including Peter's denial, the Crucifixion and Resurrection. Experience humor and poignancy as you watch David bring the Apostle Peter to life. 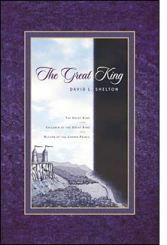 Experience David's masterful telling of The Great King! The Great King is now digitally remastered for DVD! Experience David's masterful telling of part I of his riveting allegory of the Gospel, the Great Commission, and the Second Coming of Christ. David Shelton brings storytelling to a new level as he incorporates visual imagery with exciting characters, including a Sword with a mind of its own. Experience the Castle at the top of the Solid Stone Mountain, the King's forty attendants and the best ice cream ever invented on your way to the finale' when The Crown Prince returns in victory once and for all. Click here for a videoclip!